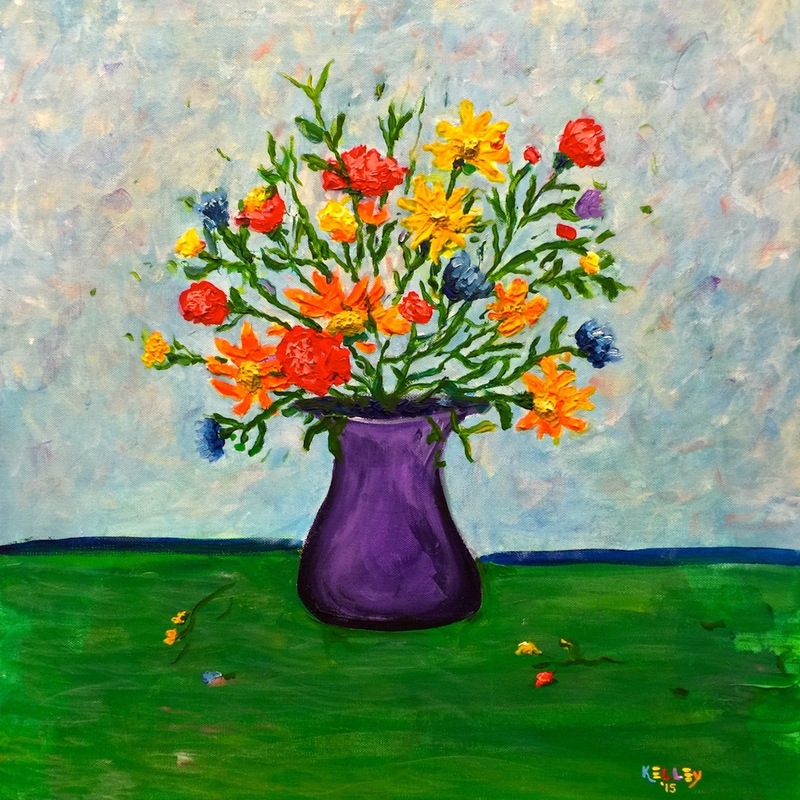 I painted this fanciful and colorful rendition of summer flowers in a purple vase. I originally called it Rainbow Bouquet in a Purple Vase. But when a family with a little girl, Hannah, visited my Riga apartment, she was drawn to this painting and told her mommy that she made it. Everyone smiled. Hence, I now call it Hannah’s Flowers.